"How about Hamel Memorial DOG park? Hamel Memorial Park is off Clyde Fant Parkway. On the Red River and river trail, the spot is ideal because it is a big open space, it is by the water, it already has infrastructure in place (entrance & parking), it is at the end of the recreational trail that can end up as the destination spot for dogs and their owners." SPAR likes the idea. And there's a dog park petition to sign at the blog. Additionally, there's news of other cities' dog parks (Atlanta, Austin). Hoffpauir even sees a well-run dog park as the sort of amenity that would help combat the loss of young professionals from the area, as discussed in the recent Times feature on local demographics. 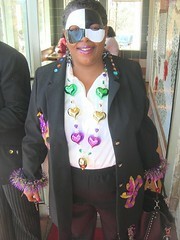 Her blog is an example of the sort of activity that could, in my opinion, help Shreveport grow. It's not just about dogs. It's about alternative ways to build community. Her thoughts are about applying good ideas from her hometown of Austin to a city that needs healthy new movement. Click here to see the dog park petition. 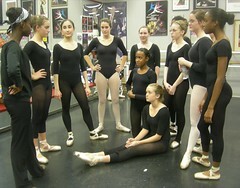 Louisiana Dance Theater is headed to Chicago for the Jazz Dance World Congress, says company director Carol Anglin. She says, "LDT will perform a new piece, El Encierro, in the Choreography Competitive Event Friday, August 3, at Harris Theatre for Music and Dance in Chicago's Millennium Park." El Encierro, a dance created by Anglin, will be performed by Louisiana Dance Theatre soloists Shelby Bass and Ashley Murphy. Also performing: Bailey Anglin, Allison Hagan, Alexis Jackson, Madeline Marak, Kimi Rousseau, Allison Sauls, Liz Weiss, and Elizabeth West. Anglin says to dance lovers, "Drop by Carol Anglin Dancenter @ Pierremont Mall tonight, July 31, from 6:00 – 7:00 pm for Louisiana Dance Foundation’s Windy City Benefit. 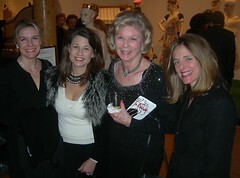 It's a studio performance / wine & cheese reception honoring Louisiana Dance Theatre’s Chicago-bound dancers." The LSUS Department of Communications will present Lanford Wilson's "Burn This," says the director, Robert Alford. 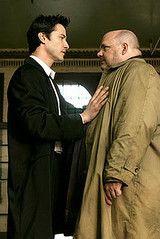 His production will offer an opportunity for local actors to play opposite a Hollywood veteran, Pruitt Taylor Vince. Anna (mid 20s to mid 30s) a beautiful, strong, dancer turned choreographer. She keeps her emotions to herself, even more so since the death of Robby, her roommate and collaborator. Larry (mid 20s to mid 30s) an acerbic, witty, bright advertising executive, Anna’s other roommate. Burton (late 20s to late 30s) a wealthy, athletic, self-assured, sci-fi screenwriter, Anna’s boyfriend. The role of Pale will be played by guest artist Pruitt Taylor Vince, says Alford. Baton Rouge native Pruitt Taylor Vince's feature film credits include James Mangold's Heavy, in which he played a sweet, silent cook harboring a crush on waitress Liv Tyler and Identity, in which he played a schizophrenic serial killer, as well as Bertrand Tavernier’s In the Electric Mist, Robert Benton’s Nobody's Fool, Neil LaBute's Nurse Betty, Patty Jenkins’ Monster, Oliver Stone’s JFK & Natural Born Killers, Alan Parker's Angel Heart, Mississippi Burning & Come See the Paradise, Roland Joffé’s Captivity, David Lynch's Wild at Heart, Barbet Schroeder's Barfly, Adrian Lyne's Jacob's Ladder, Lawrence Kasdan’s Mumford, Giuseppe Tornatore’s The Legend of 1900 and Wim Wenders’ The End of Violence, in addition to Trapped, Constantine, Shy People, Beautiful Girls, Doctor Doolittle, The Cell, Red Heat, City Slickers: The Legend of Curly’s Gold and S1m0ne. Vince received an Emmy Award for his recurring role in the second season of the TV series Murder One. Thur, Aug 2 at 6:00 p.m.
Fri, Aug 3 at 6:00 p.m. The movies of Ingmar Bergman yanked many of us out of the dappled world of Hollywood into a world of movies that required thought and patience. The Swedish stage and film director is known as one of the key film auteurs of the 20th century. He died today at age 89, said the NYtimes. Wikipedia says, "His films usually deal with existential questions of mortality, loneliness, and faith; they also tend to be direct and not overtly stylized. Persona, one of Bergman's most famous films, is unusual among Bergman's work in being both existentialist and avant-garde." Bergman fathered 9 children and was married 5 times. Pardon me while I nip over to youtube for a reminder of his style. "Thanks to all of you that have indulged my e-mail blast over the past year and going to my blog to see the art. Last weekend I took over the maintenance of my website, a domain I have owned since early 2001. Blogs are mainly online journals - but I had made it a site to see my work, since updates for the website were taking months. Lots of months to upload, and then they were never as I wanted them (editor: Sound familiar?). Now my blog will be mainly an art journal ~ art in process. And my website, maintained by me, will be for completed work. and ALT text are very important because the search engines do not recognize images, flash or video. It's all about the text. Not too little, but not too much...there is a sweet spot of about 3-7% key words that they like to see. So while it's about the images in front for people to see, it's about the text behind the scenes that the machines see. All very interesting material to digest and I only thought I was re-doing a template full of pictures of my work." RT: May all the regional artists who believe in their work stride into the digital underbrush as has this intrepid former Shreveporter. See his site in the sptBlog links, please. King's Highway holds fabulous potential to become a complete specialty shopper's alley for people nipping off I-49 for a peek at soulful Shreveport. Of course, it's partway there. It begins with the deluxe landscaping used by Raisin Caine's store at King's Hwy. Even the shrubbery at the McDonald's seems laudable. The upgraded landscaping and signage at Byrd High School plays an important part. Columbia Cafe is certainly a significant node on the ride. When you cross Creswell, you are soothed by the considerable efforts of Centenary College. And there, clustered around the super house center called Centenary Hardware, are the target boutiques. I'm not thinking of the antique shops, which are important mainstays, but Counter Culture and the clothes shop called Heart and Soul. Both seem to have done well and offer models for the future. Coming soon, says a press release that originated from janeryderdesigns.com: "The Designer's Consortium, a new way to shop. A new way to sell. Direct from the designer to you." at 208 E. King's Highway in Shreveport, across from Counter Culture," says Ms Ryder. Being across from Counter Culture does not seem a bad idea at all. Bon chance to all. Hello Louisiana," a Bayou State documentary by Monty and Marsha Brown, is featured in the Summer edition of Louisiana Life, says Marsha Brown. The Browns' latest travel video is on La Manche, better known as the English Channel. Already on the market are their Euro documentaries La Belle France and It's Great! Britain. Their travel films are sold through adventurecinema.com. The Browns also show them to audiences while providing live narration. Singing their own tunes (2 of their many compositions were used in the movie Steel Magnolias) as the duo La Cahoots, they have entertained everyone but the Queen, they wryly note. At SciPort plans have been made for Globe Week, Mon, July 30, to Sat, Aug 4. The agenda? Think you can be a weather person? Use a cool tool called a sling psychrometer to measure cloud type and cover, temperature, relative humidity, and daily rainfall. Learn the ten basic cloud types and how you can spot them. Then, put your meteorology skills to the test to estimate cloud cover percentage. Test the dirt and learn what minerals are found in soil. 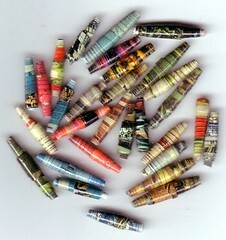 Make crayons using a variety of colorful dirt. See what an owl had for lunch! And, on Fri, July 27, says Jennifer Tuxen, celebrate “La Bella Luna” during the Full Moon Star Party. Says Robinson Film Center mensch Chris Jay: "We’re hosting an impromptu premier of a 30-minute program of student films created during our 2007 Summer Filmmaking Camp, a partnership of the RFC and SPAR. The program consists of a handful of wildly creative short films created by students enrolled in Valencia Community Center (Stoner Hill), Lakeside Community Center (Allendale) and David Raines Community Center (West Shreveport). 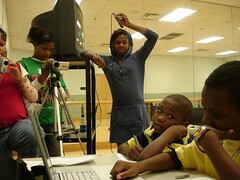 Made possible by a grant from the Shreveport Regional Arts Council, these camps have taken place over the past month. Instructors at the camps were Chris Lyon, Allison Bohl, and Sara Hebert, all of whom did outstanding jobs making the most of chaotic summer camp environments and helping the kids create some outlandish, wonderful short films." If you want to to discuss issues of the day with intelligent teens, assay the region of Darfur and the Western world's general avoidance of the genocidal tragedy. Increasingly Americans of all ages will email their congressmen (see sptBlog links for their addresses) to ask for thought and action re the tragedy in Sudan. The latest effort to galvanize the public is a movie called The Devil Came on Horseback. The New York Times review of the movie is found in a Manohla Dargis article entitled "Showing the Unspeakable From Six Months Spent in Darfur." Dargis writes, "Brutal, urgent, devastating — the documentary “The Devil Came on Horseback” demands to be seen as soon as possible and by as many viewers as possible. An up-close, acutely painful call to action, the movie pivots on a young American, a former Marine captain named Brian Steidle, who for six months beginning in the fall of 2004 worked for the African Union as an unarmed monitor in Darfur. 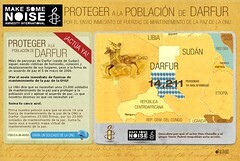 What he saw in Darfur was unspeakable. And then he returned home, his arms, heart and head filled with the images of the dead." Nonetheless, teens sometimes are like artists. Their role may be to bring the concept of conscience to a higher place on the table. Award-winning actress, director and Southfield School drama teacher Mary Thoma has just returned from New York, says Shaum Grimshaw of Bossier Arts Council. Thoma attended workshops presented by the Broadway Teaching Lab with instructors from Yale Drama School, Julliard, and the Alvin Ailey American Dance Center. Youths can learn new skills in improvisation, storytelling through movement, scene and monologue work in her Young Actor Workshops. * Ages 7 to 17. *All young actors are expected to have memorized a 1- 2-minute monologue (no longer monologues, please) taken from a play, movie or book. Suggestions will be made available upon email reservation, if needed. * Limited to 16 participants. * Saturday, August 4, 10 am to 4 pm. * Bring a sack lunch and drink. * East Bank Theatre/Bossier Arts Council 630 Barksdale Blvd. * Registration: email mmatters3@bellsouth.net or phone (318)861-0538. Deadline Friday, Aug. 3. Says Thoma: "I had a Marvelous experience in New York, training at the Broadway Teaching Lab and cant wait to share the fun and exercises! 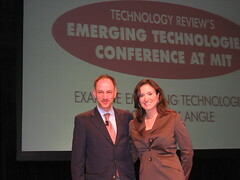 I was very affirmed in my teaching style and process." In a July 23 article entitled "Shreveport lures production / Katrina, tax incentives turn city into a production hub," writer Bashirah Muttalib sized up Shreveport and New Orleans. The Louisiana Wave Studio, which houses the tank, is the only feature film facility in the U.S. that can automatically generate a variety of waves up to nine feet and horizontal storm conditions. The 8,000 square-foot tank, 100 feet long, 80 feet wide and 8 feet deep, holds 750,000 gallons of water. Part of Shreveport's film infrastructure now includes production studios, according to Acree, with plans for a subsidiary of Nu Image to build a $10 million facility expected to be completed year. StageWorks of Louisiana, offering clear span sound stage space totaling 52,000 square feet and 25,000 square feet of networked productions offices, including a wide range of amenities. The facility has hosted TV and film projects including, Kevin Costner's "Mr. Brooks," Warner Bros.' "The Year Without Santa," the Weinstein Company's "The Mist" and Nu Image's "Mad Money." Mansfield Studios, with more than 75,000 square feet of office space and 120,000 square feet of converted stage space with 26-foot clear ceilings, full service production offices and vendor support services. Stage West, in association with TurnKey/Louisiana, has more than 50,000 square feet in stage space, hosts Cinelease & Expendables Plus and Avid Meridian offline edit suites. Mansfield Studios, in association with Louisiana Production Consultants, boasts 80,000 square feet of office space and 120,000 square feet of air-conditioned stage space and 26-foot clear ceilings. While this bodes well for Shreveport, there is an offsetting balance to the city's lure.
" 'Major Movie Star' is the fifth Nu Image/Millennium Films' production we've done here. The city is tremendously accommodating with locations, permits, closing of roads and the people are great," producer Michael Flannigan said. "The drawback is that this is not Hollywood where there is an abundance of resources. You have to bring in a lot of people and equipment. In the long run, it eats into those tax incentives." The Variety article also looks at New Orleans, where productions are beginning to return. One respondent says, "We wanted to show that ... New Orleans is not just a Third World country without running water." Sadly, the image sticks. In effect the writer has implied that it's a Third World city that has managed to get running water. The story makes it abundantly clear that Shreveport is Normalsville, with an Anywhere, USA, landscape. Tickets are now on sale for Shreveport Little Theatre's Summer Lagniappe drama, Daughters of the Mock, by Judi Ann Mason, directed by Vincent Williams. The play will be presented at 8 p.m. on Saturday, August 11, 2007 at the University Center Theatre at LSUS, says Robert Darrow. This African American drama is set in south Louisiana where three generations of women share a horrible secret. The play is a mysteriously haunting tale about a grandmother's curse that protects her daughters. A Louisiana woman, her daughter, and now her granddaughters must carry on the curse to protect future hearts from the clutches of a man. The cast features Panderina Soumas as Maumau, Pamela Hamilton as Oralia, Sharon Penson as Maneda, and Shana Rogers as Amanita. Along with director Vincent Williams, the production crew includes Carolyn Jones Haygood, costumes and makeup, and David White, lighting. Box Office noon - 4 p.m., weekdays. "We need about 10 additional artists to create ofrendas for the Dia de Los Muertos celebration being installed in Artspace in September," said Shreveport Regional Arts Council's Pam Atchison. The celebration of Mexican culture opens in Artspace, 710 Texas, on Sept 14. Expect a profusion of flowers and skulls and mariachi music. An ofrendas is an offering, or tribute, to someone important to your life. Most ofrendas comprise a framed photo of the loved one surrounded by objects representative of their lives. The food, drink or material goods favored by the deceased are placed on a table, or altar. The display is surrounded by flowers, candles and other decorative touches. "In SRAC's tribute to Mexican culture we are displaying ofrendas created by local artists in tribute to deceased artistic figures," said Atchison. "For instance, Tama Nathan's ofrendas is dedicated to Frida Kahlo. Talbot Hopkins' altar will celebrate Clyde Dixon Connell. Jane Heggen and Thelma Harrison will give tribute to Clementine Hunter." Interested in building an artist's ofrendas? 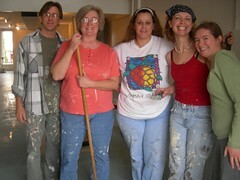 See the guidelines at Shrevearts.org or call Stacie Leng at 673-6500. NY Times writer Harriet Rubin says, "Michael Moritz, the venture capitalist who built a personal $1.5 billion fortune discovering the likes of Google, YouTube, Yahoo and PayPal, and taking them public, may seem preternaturally in tune with new media. But it is the imprint of old media — books by the thousands sprawling through his Bay Area house — that occupies his mind." In an article entitled "CEO Libraries reveal keys to success" there is considerable comfort for teachers and classicists. Rubin writes, "Serious leaders who are serious readers build personal libraries dedicated to how to think, not how to compete." She cites Steven B Jobs extreme interest in the books of William Blake and the attention paid by Michael R Milken to books about Galileo. Rubin says that "Dee Hock, father of the credit card and founder of Visa," retired and built a magnificent library. "In his library, Mr. Hock found the book that contained the thoughts of all of them. Visitors can see opened on his library table for daily consulting, Omar Khayyam’s “Rubáiyát,” the Persian poem that warns of the dangers of greatness and the instability of fortune." Shelly Lazarus, CEO of Ogilvy & Mather, tells Rubin, "“As head of a global company, everything attracts me as a reader, books about different cultures, countries, problems. I read for pleasure and to find other perspectives on how to think or solve a problem, like Jerome Groopman’s ‘How Doctors Think’; John Cornwall’s autobiography, ‘Seminary Boy’; ‘The Wife,’ a novel by Meg Wolitzer; and before that, ‘Team of Rivals.’"
"CEO Libraries" has been high on the NYT's Most Emailed list since its publication on July 21. Some 250 people trekked to LSUS Theater last week to see the debut of the movie Plummet, a half-hour drama made by Chris Lyon and film partner Luke Lee. At age 20, these independent filmmakers have created a piece that compares well to film school graduate work. The movie's strengths were in production values: big sound (especially in the underwater sequences), first-rate HD cinematography, and editing that was of a piece. They also scored in several additional ways. Lorna Dopson, the female lead, played the sort of girl every movie needs. She portrayed an unpretentious, intelligent young woman who wasn't afraid to fall in love and make out madly. Much of the time, male lead Derek Johnson seemed unaccountably laconic and depressed. The script failed to adequately explain his muddle. But the movie's slow opening was picked by the intervention of a friend; it was played with lead-role charisma by Ren Heeralal. And the role of the psycho was confidently portrayed by Ian Price. Ron Fagan played the professor whose class on dying added philosophical stimulation to the story. Writers Lyon and Keith Shively added a deft touch by focusing on the physiological as well as emotional aspects of the intersection of life and non-life. As the movie's male lead sinks into a swimming pool following a deadly attack, the filmmakers showed technical savvy and script-writing dexterity. For me the ending worked. Although its ambiguity may not suit all, the closing certainly offered a beginning for post-movie discussion. In their premiere at LSUS Theater the movie's makers delivered a shimmering denouement. A curtain behind the projection screen rose and a 4-piece rock band, A New Pace, performed the last song in the soundtrack. The credits scrolled above a lovely performance by Josh Lyon, keyboard, and Colton Blount, vocal. They were backed by Chase Reneau and Kurt Wiley. Having completed their movie, Lyon and Lee have begun an odyssey. They will finish production of the DVDs (and slight problems in the lip-synch will be corrected, Lyon said) and begin the tedious and costly applications to film festivals. They must build support for the movie with more showings. Their web sites on myspace and facebook must continue to vibrate. Will they be able to sell the value of their project to more investors? Is there enough vibe in Plummet to build a wave of support? Slip over to the blog at Perennialmedia.com to follow the lives of the two filmmakers. A successful debut? It’s one step. There are many ahead. Producers of the Lyon and Lee movie were Bruce Hennigan of 613 Media and Lori Baynham of Baynham Advertising. Also contributing were designer Jeremy Johnson and photographer Hannah Parker. "We're allowing Rick Rowe to make the announcement of the people being inducted into the CE Byrd Hall of Fame in 2007," said Byrd principal Jerry Badgley. "He'll tell the story on KTBS Friday at about 5:15." Yet we know that one of the new Hall of Famers is a painter and sculptor. She is artist Jerry Wray. Wray's art has been purchased by people in Europe, Asia and across the US. Her work is in 6 US museums. The Newcomb graduate has been a leader in arts education in Shreveport. The vibrant painter, known for process art and for non-representational art as well as landscapes, raised 4 children while pursuing her career as a painter. She has been married to George Wray, Jr, for 60 years. See her work and more at Jerrywray.com. "We've had coverage by media teams from Natchitoches and Alexandria, not to mention Shreveport," said Bonne Summers, producer of TNT, the monthly Thursday Trolley Tours of Shreveport's arts district. "And we've had 200 to 300 people arrive at Artspace, 710 Texas, to enjoy the rides." Stacie Leng, Shreveport Regional Arts Council, aka SRAC, says it's one of the best attended summer programs since Neon Saturday Nights. Jeff Everson and Andrea Master, of the Young Professionals Initiative of the Shreveport Chamber of Commerce, were in their element. 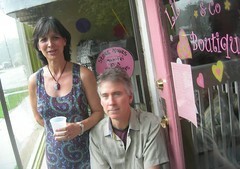 "We're part of the Art Mob," said Everson. "We're here to enjoy the tour as well as listen to Buddy Flett and check out the new sculpture in Artspace." Matt DeFord, artist and art teacher at Northwestern State, Natchitoches, explained his casting process to Julie and Mike Miller. 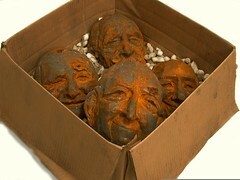 DeFord's sculpture exhibit has a series of heads cast in plastic and iron. Photography by Ernie McDaniels, a show that debuted at Artspace last month, drew many onlookers. His black and white work was competent and coherent. In one photo a group of teens at a concert gyrated with salacious intent. A family at the beach offered viewers a retro moment; the scene looked like a 50's snap by Ed Friedlander. There were carefully composed nudes and an affecting, frame-filling portrait of an African American boy. "Join us for a laid-back evening of music by Junior III, delicious food and fantastic auction items presented by Sonja Bailes and Ed Walsh," says Ken Beatty of the Philadelphia Center. It's the 18th annual auction against AIDS, to be held Sat, July 21, 6:30 pm, at Municipal Auditorium. They're calling it Bluesiana Saturday Night. Tickets $45 at the door; $40 in advance. 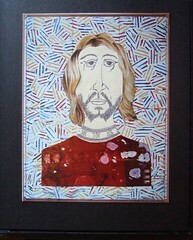 In the auction: fresh art from Trudeau and numerous other artists. Louisiana's Department of Tourism is advocating the return of visitors with a "Fall in love with Louisiana all over again" program, says Kelly Pepper. There is a Lot to Love about La and in an attempt to highlight more of them the Office of the Louisiana Lieutenant Governor (OLG) and the Louisiana Department of Culture, Recreation, and Tourism (DCRT) in cooperation with the Louisiana Lottery and the Greater Baton Rouge Area Arts Council announce the "LOUISIANA JOYS, ARTS, ZEST & ZEAL", (La. JAZZ) visual arts contest. * The winner(s) of the contest may receive as much $3,000.00 licensing fee to allow the winning work(s) to be displayed on Louisiana Lottery Scratch-off tickets. See it all at Crt.state.la.us/lajazz. Shreveport rapper Hurricane Chris 'adds to the lexicon' with slammin' hook: A bay bay! Shreveporter Chris Dooley, aka Hurricane Chris, has a tune climbing the hip hop club charts, says Steve Johnson of USA Today. It's called "A bay bay." Johnson interviewed Dooley and found "It just means 'fa' sho,' " says Chris. "Like, 'Are we going out tonight?' 'A bay bay.' Or you see a car you like. 'A bay bay.' It means 'I'm with that' or 'I'm riding with that.' 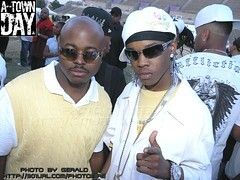 "
"The song pays homage to DJ Hollyhood Bay Bay, who spins records at KoKo Pellis, a club in Shreveport, La. The crowd would chant "Hey, Bay Bay, hey, Bay Bay" whenever he'd enter the club, and it soon became part of the local lexicon," wrote Johnson. Shreveport's Lava House Records will release a ratchet compilation album under the Polo Grounds umbrella.The drum- and bass-driven track exposes Shreveport's ratchet movement to a national audience. "Ratchet is our whole swagger and our attitude about ourselves," says Chris, who wrote his first rhyme at age 8 for a school talent show. "This song is going to open the door for everybody else." Readers can sample the monstah hook while enjoying the USA Today article. Some of us have been waiting for a new Leadbelly for the past several years. Chris Dooley might be that person. Or maybe a leggy local rhymer will ratchet out of the "A bay bay" mechanism. In Paris a progressive mayor has made it easier for an enormous number of people to get greener. The city of boulevards and hairy traffic has set up self-service docking stations for more than 10,600 rental bicycles, says the NY Times. The bikes provide an alternative to the Metro - as well as to autos. The system is designed to work for locals but suits savvy tourists, too. 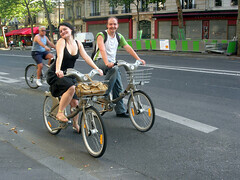 It is called the Vélib for “vélo,” bicycle, and “liberté,” freedom. Users can rent a bike online or at any of the stations, using a credit or debit card and leave them at any other station. A one-day pass costs 1 euro ($1.38), a weekly pass 5 euros ($6.90) and a yearly subscription 29 euros ($40), with no additional charges as long as each bike ride does not exceed 30 minutes. Bicycle commuting is a an evolutionary movement championed by sptBlog. Even this city of humid substropical lassitude might grow as a center for practical cycling. In particular, East Shreveport is a sweet ride. This fall my buddies at work and I are going to try to bike to work 2 days a week instead of one. And, secretly, I have a long-term goal of establishing an annual art bike parade for the city. 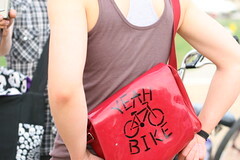 First, I'm going to paint my commuter bike in the colors I saw on a bike in Amsterdam. 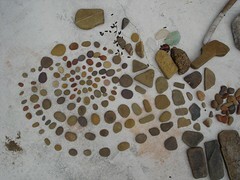 And I'm seeding the idea with art teachers and students. Next step? @ Big D's BBQ, 101 Common St, corner of Caddo and Common St.
"Astronautalis and Natives of the new Dawn are both veterans of the Warped tour. Astronautalis played SXSW, for you kids that only go to shows based on sweet status," says the earnest and practical Garner. "Ps: Big D has a new sandwich, the noids! burger. It's a burger with chopped beef. Bound to be f**ing amazing, so bring food/beer money." 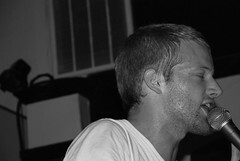 Did you listen to "My dinner with Andy" or others of the recordings by Astronautalis? Whoa. Whadja think? 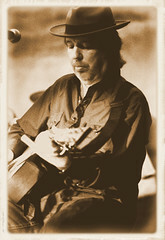 "Buddy Flett will be playing acoustic blues Thurs night at Artspace for Trolley Thursday - from 5 pm til 7:30 pm," says Bruce Flett. "Jim Caskey will also be on guitar, and maybe some other friends. 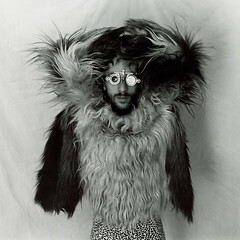 He'll be on the 3rd floor of Artspace, the area called Coolspace." Flett is part of an Artspacepalooza. Sculptor Matt DeFord will have a reception for an exhibit of his acclaimed work. And then there are the Trolley Thursday rides. 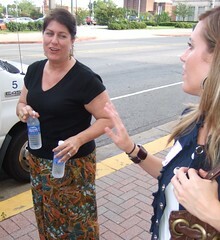 "Last month we had 400 people come to tour the Arts District in Shreveport on the first Trolley Thursday,' says event producer Bonne Summers. This week buses will begin their tours at 5:30, 6, 6:30, 7:30 and 8 pm. People have tended to say, "Gee, I did Not know we had such great art centers." Spt Regional Arts Council: 673-6500. Chris Lyon and Luke Lee are obsessive creators. And they've been video-possessed at least since they were age 14 at Caddo Magnet High School. They've shot scores, nay, hundreds, of video projects in the intervening years. They've shot so much commercial material that they formed Perennial Media Entertainment Group. So their new 28-minute movie, Plummet, is the fruition of 6 years of work. Plummet, a mental thriller, debuts Fri, July 20, at LSUS Theater. Says Robinson Film Center's John Grindley, "Several regional filmmakers will debut new works on Fri, July 20, at the LSUS University Center Auditorium. Admission to the hour-long program, which begins at 7:00 PM, is $5. Tickets may be purchased in advance at www.plummet-movie.com or at the University Center prior to the screening. 2004 Louisiana Film Festival Grand Prize-winning director Chris Lyon will premiere his new film, Plummet, a 28-minute psychological thriller. The film tells the story of Jeremy, a young man who, after meeting and falling in love with fellow student Marie, must quickly unravel a mystery surrounding the life-altering events that follow. The evening’s program will also include a screening of “Fred,” a comedic short film by writer/director Keith Shively. “Fred” stars Ron Fagan as a quirky, garden gnome-obsessed resident of a tight-knit community who becomes incensed when his treasured gnomes disappear. Both films are appropriate for all ages. Come out and support north Louisiana’s thriving local filmmaking community." Matt DeFord is a mixed-media sculptor who lives and works in Natchitoches, Louisiana. An exhibit of his works opens at Artspace Thu, July 20, says Bonne Summers. DeFord, well-regarded for his ceramic sculpture, says Bill Gingles, joined the art faculty at Northwestern State University in 2005. Matt received his M.F.A. 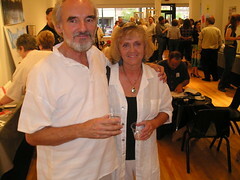 in Sculpture at Kansas State University in December 2004, and a B.F.A. in Sculpture at Brigham Young University in August 2001. DeFord's work is "an amalgamation," he says, "of found objects, cast metal, sound, light, wood, cast silicone and welded steel. It touches on mortality and its limitations, the transition to death, and then to rebirth. Matt’s work has been exhibited from New Jersey to New Mexico, from Kansas to Canada." He also says he is happily married to a beautiful Canadian named Julie. They have four children. Neil Johnson is one of the city's prominent photographers partly because he has packaged his shots and ideas and capable prose into a series of books. 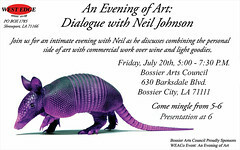 Johnson will talk about his considerable work Friday from 5 to 7:30 at Bossier Arts Council, says Danielle Reans. Johnson has written a photography guide for National Geographic, a coffee table book called Louisiana Journey for LSU Press and a large-photo book called simply Shreveport and Bossier City. All these can be purchased on his inviting web site, njphoto.com (see links, please). Johnson has many other books in print, mostly aimed at young readers. There's a Battle of Gettysburg book, a 3-D ghost story book that he shot in Keachie, and numerous others. In the illustration you see one of his best-known works, an iconic armadillo that he calls Purple Felton. His talk is sponsored by West Edge Artists Co-op. Having given up their gallery on Milam St, the co-op is placing art in boites and fomenting art discussions across the city. 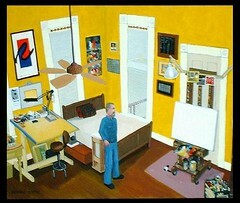 Next month painter Bill Gingles will discuss his work via a West Edge event. Neil Johnson's presentation is at 6 pm. Singer Adam Freedman is rambling across America, being a bard. 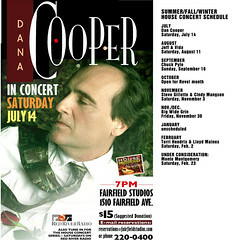 He will play his Taylor guitar and sing wry tunes at at Courtyard Cafe Mon, July 16, 7:30 pm. KSCL's John Schleuss will chat with the singer on KSCL, 91.3 fm, at noon. 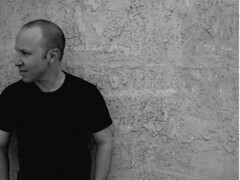 For a sample of his very well-made indie pop tunes, finger over to myspace.com/adamfreedman. No Dead Artists is an open, juried exhibition of Louisiana art today, says show founder Jonathan Ferrara. The exhibition is designed to give a voice to underexposed artists. Winner's work will be on display at the Jonathan Ferrara Gallery, 400a Julia Street, in the New Orleans Arts District, and selected jury winners will appear in a feature article in the September 4th issue of Gambit Weekly. In the article, art critic Eric Bookhardt will review the exhibition. The annual event is designed to take the pulse of the creative scene in New Orleans and Louisiana. Is there a cultural renaissance taking place right now? This show may help art lovers decide. All media are accepted, including but not limited to painting, sculpture, glass, metal work, mixed media, video, performance and installation art. Typically there are some 250 applications and the show is attended by thousands, claims Ferrara. Deadline for postmarked material is Aug 2. This year's sole juror is Dan Cameron, former curator of Visual Arts at the New Museum and currently the director of Visual Arts at the Contemporary Arts Center in New Orleans. 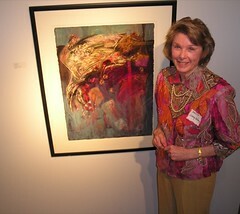 New Orleans-Shreveport artist Mary Jane Potts is one of the artists selling via the Ferrara gallery. 35,000 years ago a magical artist rendered a mammoth in ivory . . . 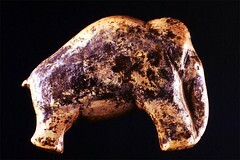 Archaeologists at the University of Tübingen, says Spiegel, have recovered the first entirely intact woolly mammoth figurine from the Swabian Jura, a plateau in the state of Baden-Württemberg, thought to have been made by the first modern humans some 35,000 years ago. The mammoth and a lion and two more representations are among the oldest examples of figurative art. And they date from the Ice Age. Doesn't this tiny sculpture of a mammoth remind you of the Venus of Willendorf? The woman was carved some 10,000 years later. She is much more detailed. But the sexual energy, the expression of life force, seems much the same. Simplicity, suggestion, awareness of the primal: the maker of this talisman established in one carving the classic standards of art. "Yeah Bike was stenciled onto lots of stuff," noted Christoper Lin, who documented the June Baton Rouge Critical Mass ride and pre- and post gathering. His terrific biking shots are on flickr.com. Lin is a member of a Flickr group that I initiated a couple of years ago called simply "Louisiana." There you'll find a pool of some 6000 photos of the Bayou State contributed by maybe 300 photogs. I noticed that Lin also shot a bit of the recent show called Art Melt. Not sure who from North Louisiana might have entered that exhibit. And he's got a couple of additional Flickr sets on bicycling. When you look at a set on Flickr you'll see a setting in the upper right corner called View As Slide Show. It can be set to Fast for a pleasant viewing experience. 14 July is the French Bastille day, simply called 14 Juillet or less commonly but more officially Fête nationale. Many cities hold fireworks during the night, says wikipedia. Many dancing parties are organised (bals du 14 juillet) and it is customary that firefighters organise them (bals des pompiers). The day officially celebrates the 1790 Fête de la Fédération, though it is often associated, even in France, with the Storming of the Bastille. Military parades, called Défilés du 14 juillet, are held on the morning of 14 July, the largest of which takes place on the Champs-Élysées avenue in Paris in front of the President of the Republic. The parade opens with cadets from certain schools (École Polytechnique, Saint-Cyr, École Navale, and so forth), then other infantry troops, then motorised troops; aviation of the Patrouille de France flies above. It always ends with the much-cheered and popular Paris Fire Brigade. Traditionally, the students of the École Polytechnique set up some form of joke. 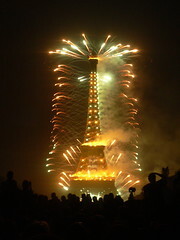 * Bastille Day also falls during the running of the Tour de France. * New York has a large Bastille Day celebration each year on 60th Street on the Upper East Side of Manhattan. * San Francisco has a large celebration downtown. * Philadelphia's Bastille Day, held at Eastern State Penitentiary, involves Marie Antoinette throwing "cake", which are actually Twinkies, at the Parisian militia and a storming of the Bastille. 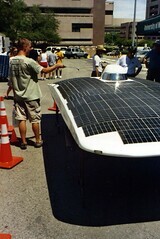 Dell-Winston Solar Car Challenge Teams make pit stop at Sci-Port! Tuesday, July 17 from 6-9 p.m.
See some inspiring engineering by young, enthusiastic minds and "catch some rays." It's a free event. Optional Catfish/Chicken Dinner at 7 p.m.
$7.50 Adults, $3.50 Children. Food reservations: (318) 424-8660. Wednesday & Saturday at 1 p.m. Owner of One Planet Solar in Grand Cane, Louisiana, Matt Roberts speaks about the advantages and rewards of solar energy, including lowering utility bills, tax advantages, and artfully reducing your impact on the environment. Wednesday & Thursday at 3 p.m.
Design, build, and race a solar art car in this cross Sci-Port event. Monday & Friday at 11 a.m.
Make an artful UV detecting necklace to take home with you. In the process, learn about the type of radiation that causes sunburn and how to protect yourself from the harmful rays of the sun. Monday & Friday at 3 p.m.
Cook a Sun-model art cookie in a solar oven made from a cardboard box. Guys and Dolls, directed by the young and hungry Ryan Williams, rolls into the Performing Arts Center stage 7:30 p.m. Fri and Sat, July 13 and 14. It continues July 20-21. There are also shows at 2:30 pm Sun on July 15 and July 22. Trey Jackson, Rob Laha, Jenny Mayo and Emily Kirkland lead the cast. Choregraphy: Laura Beeman. Music: Will K Andress and Amy Wakefield. Tech director: Jamie Sanders. Guys and Dolls is a musical based on a short story by Damon Runyon. It was first produced on Broadway in 1950 and ran for 1,201 performances, winning five 1951 Tony Awards, including the award for Best Musical. In 1955 the film version was released, starring Marlon Brando and Frank Sinatra. $9 for students and children; $17 for adults. Box office: noon to 4 pm M - F and one-half hour before curtain on performance dates. Singer-dancer David Williams took the audience into the mysteries of Harlem, 1929, with a sensual and hilarious version of the reefer classic, "When You'se a Viper," last night at LSUS Theater. It wasn't a politically comfortable passage, but the dream of "a reefer about 5 feet long, not too fat and not too strong," is true to America and, presumably, to the New York life of super songwriter Fats Waller. "When You'se a Viper" is part of a 2-hour revue of tunes written in the heat of the Harlem Renaissance by Waller. 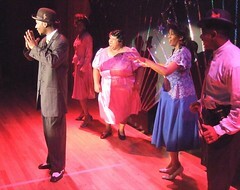 The show, cunningly called "Ain't Misbehavin," was directed by Robert Darrow and produced by Gene Bozeman for Shreveport Little Theater. In addition to the tall and graceful Williams the small stage at LSUS was energized by the not-so-tall but entirely charming Carnetta Cooper. Aside from Cooper, this is a cast making its debut in community theater. Each singer has considerable background in church presentations, and it shows in their timing and tunefulness. Mairus McFarland is an adept singer, competent dancer and expert mugger. Barbara Holmes has a rich voice and a smile of platinum. Whitney Jones added long legs and an energetic presence to the boards. There's a 7-piece band, too. With Grambling student Tramaul Love at the keyboard, the band backed the singers smoothly. The sexual innuendo and many of the Harlem colloquialisms written by Waller are well dished. But the enunciation of the cast and the performance of the mics and sound team of SLT are works in progress. The art of articulation in lyrics is one developed under the pressure of repeated performance and critical review. There's a balance to be sought in making sure the audience gets the words while the performer has fun with the role. 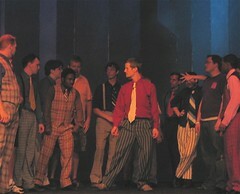 Under the limited lighting of the LSUS theater this cast was struggling to bring clarity to the lyrics. The band also has a challenge over the coming nights. Such a seasoned set of players might whip up a Harlem storm. On opening night the music was faultless but artless. The delights of community theater are well realized by the beaming McFarland - his joy of being onstage is palpable - and the shimmering Williams. During an evening of basic hoofing Williams offers a brilliant moment of dance that focuses on his vibrating fingers and torso. Holmes and Cooper are endearing. An evening of Fats Waller tunes is a capital idea. 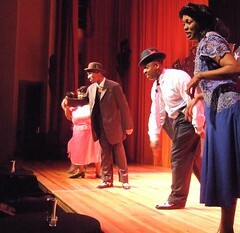 SLT's "Aint Misbehavin" plays the coming 2 nights: Fri and Sat, July 13 and 14, at 8 pm. Tickets are $20 and can be insured by calling 424-4439 between noon and 4 pm, M - F. Performances at LSUS Theater are open seating. Unlike the Margaret Place home of SLT, a site being remodeled over the next year, seats at the university theater are spacious and abundant. 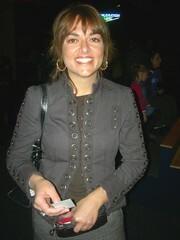 Sandra odom, singer and friend of Fairfield Studios, has researched nice things people have said of Dana Cooper, such as, "Literally the best singer-songwriter to come out of Nashville in over a decade, his heartfelt but sophisticated lyrics aim to reconcile the heart and mind in everyday life. His sense of melody is unique and he has a voice that could melt ice caps." She adds, "A longtime collaborator with Texas' Shake Russell, Cooper recently returned from touring in Denmark, Sweden and Ireland. Noteworthy appearances include Austin City Limits, The Cactus Café (also in Austin) and Mountain Stage, which is broadcast on West Virginia public radio." Listening to Goodmornin Blues at the Noids myspace site reminds me that this trio is among the few punk slash garage groups doing Leadbelly. And they are shakin Mr Huddie Ledbetter's material in a way that I feel he would approve. An outdoor gig at the corner of Common at Caddo St? Leadbelly undoubtedly played his Stella 12-string within a few blocks of that address at more than one point in his ramblings in and out of the St Paul's Bottoms. 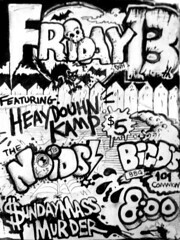 The Noids - Paul Garner (also the poster artist), Hayden Camp and Jessie Gabriel - are not slick; they are the real schpiel. Like the BBQ at Big D's, 318-226-0301. "Ain't Misbehavin' is a tribute to the black musicians of the 1920s and '30s who were part of the Harlem Renaissance," says Wikipedia. "It was a time when Manhattan nightclubs like the Cotton Club and the Savoy Ballroom were the playgrounds of high society and Lenox Avenue dives were filled with piano players banging out the new beat known as swing. Five performers present an evening of rowdy, raunchy, and humorous songs that encapsulate the various moods of the era and reflect Waller's view of life as a journey meant for pleasure and play." Starring Dr. Mairus McFarland, Carnetta Cooper, Barbara Holmes, Whitney Jones and David Williams, this show is Shreveport Little Theater's first black production. And this show makes more new friends because of the location. It's at LSUS Theater. The Margaret Place home of SLT is being remodeled. An entire season of shows will be produced at LSUS, says director Robert Darrow. Musical director is Grambling University's Marcus J. Rhodes. July 12-14, 8 pm; LSUS University Theater. (318) 424-4439: noon to 4 pm, M - F.
The Artcar Museum is a private museum of contemporary art located in Houston. It's on Heights Blvd near Washington Blvd. The museum, nicknamed the Garage Mahal, opened in 1988. The Artcar Museum shows more than vaporous vehicles. 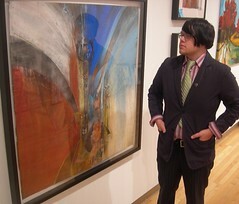 Its emphasis in fine arts includes "artists that are rarely seen in other cultural institutions," says the web site. Last week we saw displays by artists working in lucite, encaustic, clay, paper and video. The Artcar Museum is a below-the-radar sort of place in a city where the art scene has exploded. One of our favorite Houston photographers, Killy Chavez, said, "In all the years I've been in Houston, I've never been to the Artcar Museum, nor to the Artcar Parade." Houston's Artcar Parade is "The first and largest Art Car Parade in the world," says Wikipedia. It features cars, bicycles, motorcycles, roller-skaters, and many other rolling surrealities. Houston's Artcar parade debuted on Montrose Blvd in 1986. In 1988 some 40 decorated vehicles were featured during the Houston International Festival. Today the parade is sponsored by the Orange Show Center for Visionary Art, which is a story of its own. Held on Allen Parkway, the 2004 parade featured 250 entries observed by a live audience of over 100,000 people. The 2007 parade featured 282 entries, says Wikipedia. 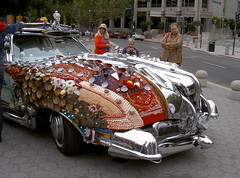 Some of the most elaborate cars in the parade are displayed in the Artcar Museum, a center founded by Ann Harithas, artist and long-time supporter of the Art Car movement, and James Harithas, former director of the Corcoran Museum, Washington, D.C. He is current director of the Station Museum of Houston. She is one of the dancingest members of the Blanc et Noir Marching Society, and I must say I admire the pioneer spirit and Creole vibe of Panderina Soumas. While she's had Soumascreole.com online for some time, Panderina is now opening a storefront in Bossier. 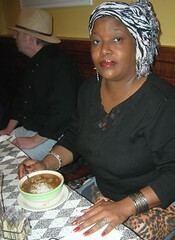 She says, " I've got Creole Red Beans~n~Rice, ‘Jumpin-Da-Broom’ Jambalaya Mix, Creole Gombo Mix, Creole Bayou Bean Soup Mix, Gris-Gris-Soup/Stew Mix, Soumas Heritage Creole Cookbook, Creole Pralines, West Indies Creole Sauces, Unique Fleur De Lis items and more. Soumas Heritage Creole Gift Shop & Gallery culturally invites each of you to a small celebration for the July opening of this new shop. Come browse, buy and listen to the sounds of Louisiana Jazz and snappy Zydeco music while you shop and network. I look forward to seeing you all and meeting new faces." It's the 18th annual auction against AIDS, to be held Sat, July 21, 6:30 pm, at Municipal Auditorium. This year's edition is being called Bluesiana Saturday Night. Says Julia Foley, "Please vote on Monday and Tuesday, July 9th and 10th, for Chronic Soul (Rene Foley's band) in the CBS Early Show Living Room Live Battle of the Bands competition. Vote by going to CBSEarlyShow.com. Click on the Early Show banner (done for you in this SptBlog post) and scroll down to the Living Room Live voting section. Just click on "Chronic Soul" and submit. That's all there is to it and you can vote as many times as you like. To see the video, go to the bottom of the page and hit the link for Living Room Live and it will take you to the site with the videos. The video will be broadcast on the CBS Early Show on Monday, July 9th. After that you can vote until Wednesday morning. The winner of this round will be announced on Thursday morning's show. Since Hurricane Katrina, Rene has been in Shreveport, working diligently with his friend Gary Randall to get their music more exposure. Please take a minute and show them some love." 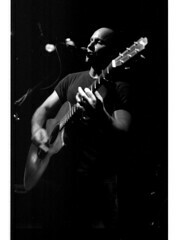 If only more songwriter-performers were as media-savvy as Californian Adam Freedman: he lines up a KSCL radio interview - with live performance - prior to his Mon, July 16, show at Courtyard Cafe. That's the way to speak to people. Freedman's recorded work at myspace.com/adamfreedman is excellent. He opens with loping guitar and pleasant voice, quite in the mode of the day, but builds his songs with canny keys, drums and voices. To me that says the album he's pushing, Best Laid Plans (Gone Wrong), is going to have legs. KSCL manager Jon Schleuss will interview Freedman on KSCL at noon, to be repeated at 6 pm, and the guitarist-singer will play Courtyard cafe at 7:30 pm. On his his myspace you can see the national tour he's pursuing. From his bio I've learned he's also working on a PhD in biology at UCLA. KSCL's Schleuss is working to establish his station as the place to learn about both the indie news and groove. With cosmic gadflies like Leo Kacenjar and Kevan Smith on the roster, this small station is the most exciting media in town. * Shreveport Green Presentation Wed at 4 p.m.
* Lexi Romine, Wed, Thur & Fri at 1 p.m. Hear from the 2007 Aaron and Peggy Selber Red River Science Fair winner, Lexi Romine, whose project investigated the effects of recycled paper's content on the strength of liner board used to make cardboard boxes. She will share her project and a variety of recycling tips. * Recycled Paper, Mon, Tues, Thurs, & Fri at 11 a.m.,Sat at 3 p.m. Create new decorative paper from various paper scraps. * Recycled Refrigerator Magnets, Mon & Fri at 3 p.m. , Wed & Sat at 11 a.m. Make refrigerator magnets out of found materials while learning the importance and ease of recycling. * Talking Trash, Tues & Thurs at 3 pm, Sat at 1:30 p.m. Participate in a discussion on reducing the amount of waste that is sent to landfills. - GLOBE Week (July 29-August 4). All activities are included with Sci-Port admission. Photographic portraits by Scarlett Hendricks will be on display at the Gardens of the American Rose Center beginning July 15 and continuing until Aug. 31, says Pat Gill at Tourist Talk. Hendricks' portraiture has captured people from age 8 months to 80 years. She will also show fine art images, ranging from future studies to still life and travel photography. For a sample of her highly-realized work, please see the Photography by Scarlett link on SptBlog's list of connections to accomplished artists of the region. The display will be in Whitaker Hall, located inside Klima Rose Hall Visitor and Education Center. There is no charge to view the exhibit; however, garden admission will apply for those wishing to tour the grounds. 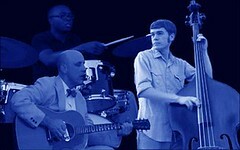 Reception for the Hendricks' exhibit: Sun, July 15, 2 to 4 pm. The Gardens of the American Rose Center are located near I-20, Exit 5. For additional information, contact the gift shop at 318-938-5534, or 318-938-5402, extension 109. The West Edge Gallery, 725 Milam St, is closing. West Edge Artists Co-op will focus on expanding their Citywide Gallery Program, says Debbie Engle. Managing the expansion will be Citywide Gallery Program director Danielle Reans. Also on the agenda: fine-tuning the online presence. Membership dues will be reduced. WEACo will continue to serve in marketing, networking, education and exhibits for its members. Monthly membership meetings will continue on first Mondays, and will take place at the Bossier Arts Council Annex. "Thanks to Richard Folmer, Anne Susman and the BAC Board of Directors for their generosity," says Engle. All artwork will be removed from the gallery by Sunday, July 15. As a person who watched the many events produced by West Edge artists at 725 Milam, I have to say it was a stimulating and successful year. The numerous art shows, speakers and mixers brought an edge of cultural pursuit typical of a bigger city. 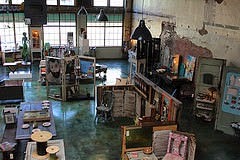 One of the things I liked about West Edge gallery was the variety of artistic levels mingled in the 2 story space. Highly-accomplished painters such as Ellen Soffer, Jane Heggen and Michael G Moore showed alongside those in the early stages of exploring their talent. Art by handicapped people using art as therapy was also presented. Then there were the Leftist speakers and literary events presented by Michael Parker. At times it almost felt like 1971. Shreveport is richer for the artistic mining pursued by the diggers above. I will miss the art and the crew that hung at 725 Milam. If the Louisiana senate agrees, points out Janet Creech, solar and wind rebates for Louisiana citizens are on the way. wind power equipment for home use, to a ceiling of $25,000, would be provided by a bill by Sen. Nick Gautreaux, D-Abbeville." - pole mount PV system is fairly economical. - the first step is to make your home more energy efficient (CFLs, energy star appliances, seal leaks, etc. ), then the renewable energy system you build (solar or wind) won't have to be as large and therefore is less expensive. - grid-tied PV systems are the most popular and less expensive than a stand-alone system (the grid, ie the utility company, takes the place of having the bank of batteries used in a stand alone system and is therefore more economical). Keep in mind that net metering is available in all of Louisiana and the net meter is supplied to you by the utility company at no charge. The cost of installation is not free, of course, but you can set that up or the utility company can. 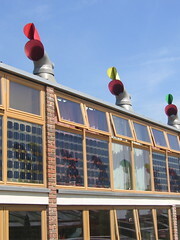 Beddington Zero Energy Development (BedZED). It is the UK's largest carbon-neutral eco-community. Sustainability, both environmental and social, is fundamental to the Peabody Trust mission to fight poverty in London. The Trust works to develop desirable homes and build thriving communities with a long-term future. BedZED is a mixed-use, mixed-tenure development that incorporates innovative approaches to energy conservation and environmental sustainability. It is built on reclaimed land owned by the London Borough of Sutton, sold to Peabody at below market value due to the planned environmental initiatives. More background on PVs from the US Dept of Energy here. It seems someone in this world is using their brains instead of sitting around smoking the last of the fossil fuel deposits. SptBlog correspondent Rachel Hill writes from Albuquerque: "The first Slow Food dinner is coming up, probably July 24, at Bistro 6301. I hope you'll want to go check it out!" Hill did the slowfoodnla.org web page for the new organization. She also created the web site for D'Agostino's Catering. Regrettably, D'Agostino's Cafe is no longer part of Artspace. "Slow Food is a non-profit, eco-gastronomic member-supported organization that was founded in 1989 to counteract fast food and fast life, the disappearance of local food traditions and people’s dwindling interest in the food they eat, where it comes from, how it tastes and how our food choices affect the rest of the world," says their web site. "Today, we have over 80,000 members all over the world." Wired to Win: Surviving the Tour de France, is a real-life drama exploring the physical and mental intensity of competing in sports’ most grueling race. It opens Sat, July 7, for a three-month feature run at Sci-Port Discovery Center’s IMAX Dome Theatre, says Jennifer Tuxen. The film tells the story of two riders in the legendary race—Australian Baden Cooke and his French teammate, Jimmy Casper—as they attempt to compete in the three-week-long event. It follows the athletes over the peaks of the Alps, the villages of Provence and cobblestone streets of Paris as they try to avoid danger, deny pain and fatigue, control their emotions, seize fleeting moments of opportunity and stay highly motivated. Wired to Win combines dramatic images from the centennial 2003 Tour de France with spectacular computer-generated and medical imagery. The film draws upon a team of scientists, filmmakers and educators to present a striking portrait of the human brain. Wired to Win show times through September 2 will be 11 a.m., 1:30 & 3:30 p.m. Monday through Saturday; and 1:30 & 4 p.m. Sunday. "We are hoping to offer these low rates so that yoga is available for those with modest incomes and so that one can afford to attend classes on a frequent basis," says yoga teacher Susan Bayliss. The yoga classes - by certified instructors - are $5 per class at Grace Community Church. You need not be a member of the church nor pay any monthly fees. Mats are available, but bring your own if you have one. Multi-Purpose Room on the 2nd floor; enter through the single door on the south side of the building and follow the signs.